As we celebrate Arts in Education Week, it is fitting to point out the many benefits of arts education. Research has shown that the arts prepare students for success in school, work and life by boosting math and literacy achievement, developing creativity and critical thinking skills, strengthening perseverance, facilitating cross-cultural understanding and much, much more (the Arts Education Partnership has compiled a research bulletin with citations for these and other outcomes of arts education, if you would like more information). Kids should study music because it's central to every human society on earth and has a vitally important role in every aspect of culture, from history to literature to media and communication studies. I would expand “music” to include the other arts. But I agree that the intrinsic value of the arts and their role in our daily lives and society -- and the importance of helping young people understand and appreciate that value and role -- should not be overlooked by educators. Yet in a time of tough budget choices, advocates must speak to the tangible benefits of arts education to ensure it remains (or in some places, becomes) a vital part of our public education system. One benefit which may prove particularly powerful in helping reprioritize arts education: Its potential to close the achievement gap. A 2012 report from the National Endowment for the Arts showed that, by nearly every indicator studied, a student from a low-socioeconomic (SES) background with a high-arts educational experience significantly outperformed peers from a low-arts, low-SES background, closing (and in some cases eliminating) the gap that often appears between low-SES students and their more advantaged peers. Though this report showed correlation, not causation, on all these results, it is still encouraging that the benefits of high-arts environments appear especially strong for disadvantaged students, offering a possible strategy that schools can use to address their achievement gaps. Of course, arts education can’t close the achievement gap if low-income students lack access to it. And unfortunately, U.S. Department of Education data suggests that an opportunity gap does exist, with low-income students less likely to have access to arts education than their higher-income peers. Unaddressed in the data are issues of quality, though I might offer a guess based on some of the findings. 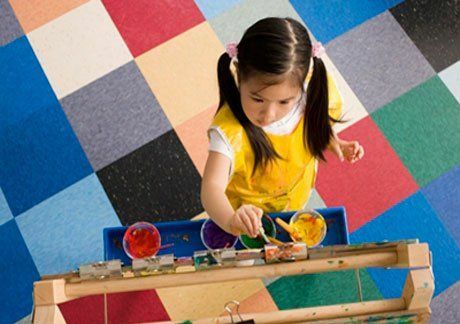 For example, just 59 percent of high-poverty elementary schools have a dedicated room with special equipment as the primary space for visual arts instruction, compared to 76 percent of low-poverty elementary schools. It seems reasonable to assume that a school with a dedicated arts room can offer higher-quality lessons in painting, ceramics and the other visual arts than one where a teacher must carry supplies from room to room and perhaps lacks easy access to water for clean-up and adequate storage space for completed projects. The overall message: Low-income students could benefit greatly from an arts-rich educational experience, but they are less likely to get it than their wealthier peers. In addition to advocating for education in music, drama, dance and the visual arts for all students -- and for low-income students in particular -- educators can work to integrate the arts into their schools and classrooms. While arts integration is not a substitute for time spent studying the arts for arts sake, it has many benefits for all types of students, including increased student engagement and academic achievement. For examples of schools that have successfully integrated the arts across the curriculum, consider Bates Middle School in Annapolis, Maryland, where a research-based approach to arts integration has help raise student achievement. And consider Woodrow Wilson School in Weehawken, New Jersey, an arts-integrated school that has been helping its low-income students outperform their peers across the state for years. Individual educators can also work to integrate the arts into their classrooms. One resource: Susan Riley’s post on using arts integration to enhance the Common Core, which offers descriptions of specific strategies and sample lesson seeds to help teachers get started.